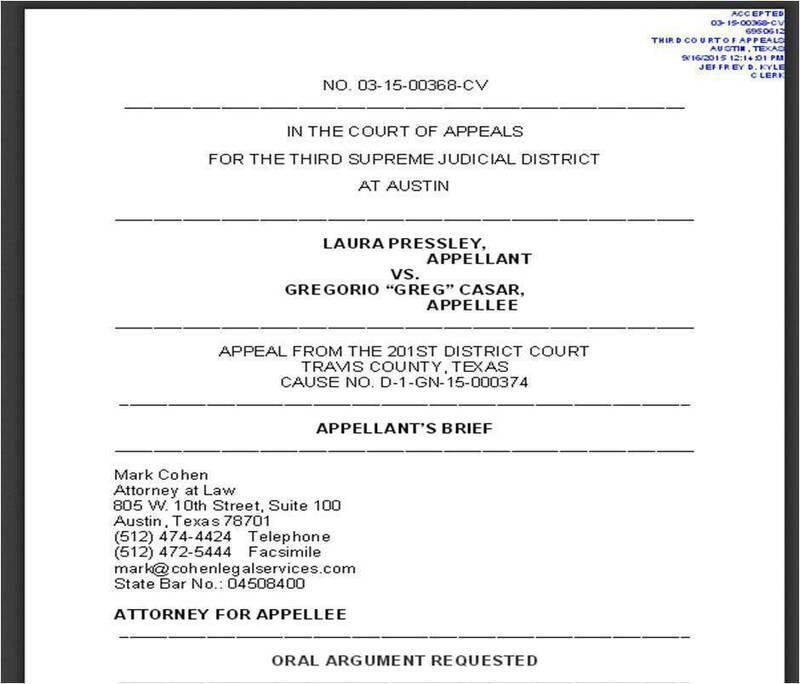 The 206 page, Pressley vs Casar Election Contest Appeal Brief filed with the Texas Third Court of Appeals is available for purchase. Click on image below to purchase for $22.00. It includes Texas case law references. Contact Dr. Pressley directly if any issues exist in purchasing and downloading the file. Political advertisement paid for by Laura Pressley Campaign, 10203 Woodglen Cove, Austin, Texas, 78753, Marcelo Tafoya, Treasurer.